The Berenstain Bears are back and this time Sis, Brother and Papa Bear have gotten into the habit of eating no-so-healthy foods. Don’t worry, Mama Bear lays down the law when she notices that they are all getting chubby. A visit with Dr. Grizzly helps introduce how the body works and the importance of good nutrition and exercise. 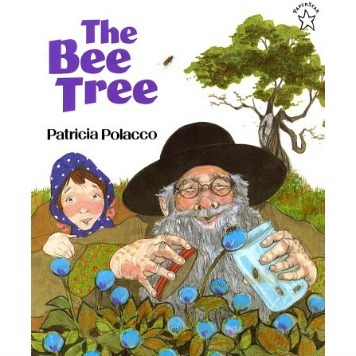 The animated pictures bring this story to life that surely any young reader would enjoy. 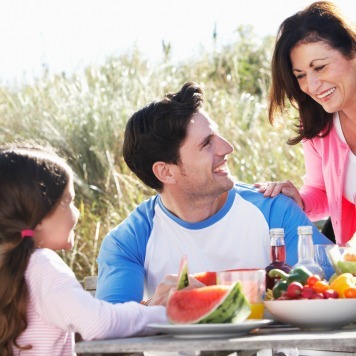 They may even be tempted to get the whole family eating healthy and exercising regularly. A great feature about this series of books is that Random House has dedicated a whole website to the Berenstain Bears. This website provides interested readers with a featured book of the month, latest news about the series, and activities such as an online coloring book. To access this website, visit the link below. Plan a day to exercise with the whole family. 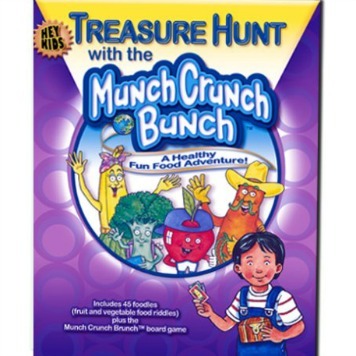 Make one of the healthy snacks in the book for your favorite TV show or a movie night. If you’re feeling bold like the Berenstain Bears, enter a town race as a family. 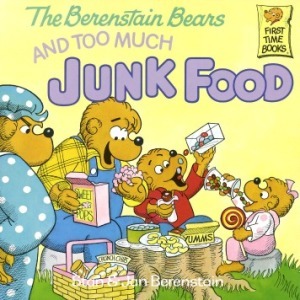 The Berenstain Bears And Too Much Junk Food, Stan & Jan Berenstain. Random House, New York: 1985.